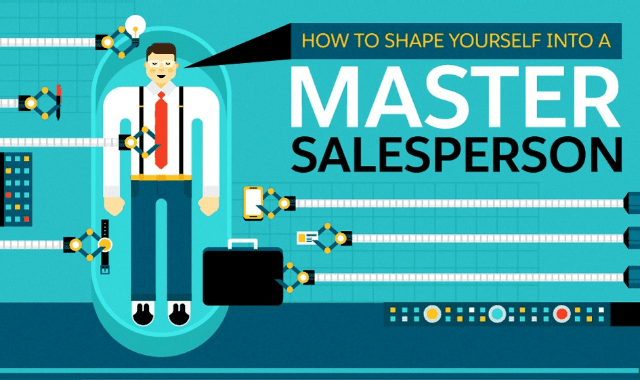 How to Shape Yourself into a Master Salesperson #Infographic ~ Visualistan '+g+"
Salespeople at the top of their game make the process of closing a deal enjoyable. Their habits and methods differ from their peers and help customers feel more comfortable because they focus on their relationships; in fact, they typically spend 33% more time with their customers each week. Even with this commitment, top sellers have a network that’s 30-40% larger than those of their peers, and they commit to strengthening the connections they have with others.